"When planning my wedding, choosing the photographer was a very important deal to me. And I couldn't be happier with my decision! Through everything, Felix was awesome! I absolutely love my wedding pictures! He met me on my wedding day at 11 to take "getting ready" shots and stayed through 11 at night. Also, he spent 3+ hours with us on both our engagement session AND trash the dress. Most photographers charge based on how many hours but all of Felix's packages include ALL DAY coverage. After the ceremony and before the reception, we took group and couple shots... I only gave Felix one hour to do this and I think we actually arrived to the reception early! He took control, told all of us exactly what to do to capture the right shot. During the ceremony and reception, you don't even know he's there. You are not going to find better value for his cost. Felix is very very affordable. I think he could be charging way more considering the quality of his service, but he continues to offer amazingly low rates. I honestly don't have any negative feedback. If you saw my pictures, you would see why. Don't hesitate to book Felix! You WILL NOT be disappointed!!" "Felix made our wedding day a dream come true!! From our first meeting with him up until the wedding day he overdelivered in the fullest sense. He was barely noticeable during the ceremony and reception, but caught the BEST and most precious moments imagined!! I still consider my wife and I blessed that we linked up with Felix. I believe above all other things Felix is a truly sincere individual before a photographer. This is what my wife and I were looking for in our photographer. I can't stress enough how Felix stands out from the crowd and truly will make your wedding day and engagement photo session a memory to cherish forever. A moment of true character came out when after the wedding ceremony we had gave an EXTRA $500 and didn't even realize we had done this. With all the wedding planning and mailing payments to many vendors, we lost track of our balance with Felix and thought we owed him $1000 but it was only $500. Both my wife and I were blown away when he handed us back the $500 and said we only owed him $500!!!! I tell this story to everyone when i recommend him and when i reflect back on our wedding day. I recommend to Felix to anyone I hear is looking for a reliable, honest and caring photographer for any event. My family is going to use him again in the near future. Thank you again Felix!" "Felix was very attentive during our wedding planning and very professional during the wedding. His photos were great and we loved them! 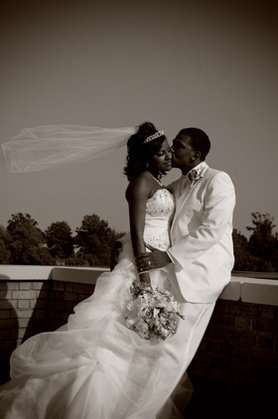 His work ethic and dedication is sure to please any bride." "Felix does great work. He's very artistic, personable, and dependable. He came through in every way and I would definitely recommend him to anyone." "Felix was absolutely wonderful! Not only did we do a pre-wedding session (engagement photo shoot), he was also there during our rehearsal to scope the venue out for some amazing photo-ops. He is very professional and quick in his responses whenever there were questions. My wedding photos turned out absolutely amazing and I am having a difficult time choosing which ones to get printed as they are all equally wonderful! I've gotten so many compliments already on the photos and on the day of the wedding, a lot of guests even complimented him. He went from table to table and got photos of couples and groups. One instance when there was a group of us dancing together in a circle, he immediately got on the ground in the middle of the circle on his back and took "action photos" of us, these were my favorite photos! Please don't hesitate to book him!" "FELIX YOU'RE AWESOME!!!! We can't thank you ENOUGH for being a part of our special day :) U were amazing and I cant wait to see the pics...Especially the one outside under the light when u decided to throw me and Russ out into the snow just one last time that evening!! LOL I loved every minute of it ;) THANKS AGAIN!!!" "Felix, i joined Facebook just so i could comment on the awesome job you did on my daughter's wedding pictures!!! You were a joy to be with on such a special occasion. you captured breathtaking pictures that will bring a lifetime of memories to us all. Pictures mean a lot to us and we spent months researching photographers,we stopped as soon as we found you. Looking forward to the reception pictures, I am sure they are just as beautiful." "Felix did an unbelievable job for our wedding and the trash the dress pictures following the wedding. He met me at the hair salon to take pictures while getting ready, that was 11am, then he stayed through the reception until 11 at night. His hard work is shown in the absolutely amazing pictures he took of my husband and me. We are so thankful to have the memories captured for the rest of our lives. Thank you Felix and anyone looking for a photographer in the area, go with Felix, you will be so happy that you did." "Felix~ You not only are an excellent photographer but a great addition to any party. Thank you so much for all you added to our day. Everyone~ If you need a photographer: Corp Parties, Baptisms, Special Bdays and of course weddings, Felix should be your guy. He has talent, he is hard working and he is fun!" "It's important to have a great photographer because he's the only one that can capture he way you are feeling and the way you look on your special day. He not only did that, but he did it in a professional way. His calm mannerism made everyone feel at ease while being photographed. Felix Chea listened to what we wanted and took the pictures we wanted and even extra ones we didn't even think of!!! Not only did he give us a great price, but we told him our budget and he was willing to work with us to get the package we desired. Our proofs we ready very fast and when I told my bridesmaids he had a website up and running for us they couldn't believe either!! I would highly recommend Felix Chea Photography it was one of the best choices I made in the planning of my wedding." "Selecting Mr. Chea as the photographer who would capture one of the most amazing moments in my life was truely the best decision we could have made. He is both professional and humble. Mr. Chea has a wonderful presences and was a delight to work with. He up held our contact 100% with no problems or last minutes errors. Mr. Chea was on time and felixible. As the day progressed his name was being mentioned all over the party. The guess spoke so highly of his personlity and praised his final production of our pictures and video. Since our wedding we have contracted Mr. Chea to do our family portraits and he is scheduled to cover our first annual family reunion (which will last for three days). Mr. Chea's work ethics is implacable. He has an amazing eye and has captured images that have left a lasting impression on everyone who observes his work. Mr. Chea has a rear gift…he can bring beautiful moments to LIFE! Without hesitation I give him the highest recommendations for service, quality, and professionalism." "Your professional pics are AMAZING! They should be on the cover of a magazine!"